The hatchback format for compact cars has never been as popular with buyers as you might expect, but times are changing. Part of the reason for that change is the performance and the styling of some of the most fun and powerful hatchbacks out there. Two of the best of the bunch are the 2017 Honda Civic and the Volkswagen GTI, so let's see how they measure up. Cars like these are all about the way they look and the way they perform, and the Civic looks good in hatchback form--but maybe not as impressive as the coupe. 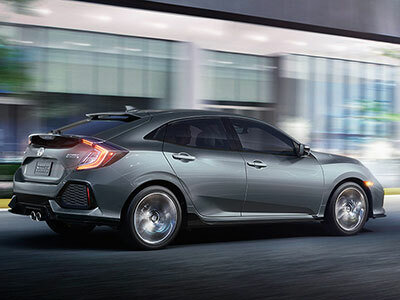 The really good thing about a hatchback, though, is it delivers the practicality of four doors without ruining the sportiness of the coupe too much, and that's certainly the case with the Civic. The attractiveness of the Golf GTI has varied over the generations, but the current model is widely regarded as the best yet. We're giving this one to the ever-evolving GTI. The interior of the 2017 Honda Civic is obviously largely the same as the other body styles, apart from a few measurements at the back. There are two distinct interior styles though, with the LX, EX and EX-L models being relatively straightforward, while the Sport and Sport Touring models get red illuminated gauges instead of blue, faux-carbon trim, aluminum pedals, and leather wraps for the gear shifter and steering wheel for that sportier feel. You'll either really love or really hate the tartan inserts of the seats in the 2017 Volkswagen GTI. It's something the VW Golf GTI has stuck with since the 1980s in Europe, and unfortunately it remains to this day. You can give it a body-swerve by going for a full leather interior, but obviously that's going to cost more. This section has to go to the Honda then. You certainly don't have to go for higher trim levels to get a well-equipped 2017 Honda Civic. Standard equipment in the entry level LX includes: automatic climate control, power features, cruise control, illuminated steering wheel controls, Bluetooth connectivity and auto streaming, a five-inch color LCD screen, a rearview camera and more. Years ago even GTI versions of the Golf were light on features, but not anymore. To be fair, this is a higher specification car than a standard Golf so it should have more standard features. The standard S model pretty much matches the entry level Civic, but you do have to go up a trim to get rid of those tartan seat inserts. Considering the GTI is a special model, and should have more, this one goes to the Civic. We still associate compacts with good fuel economy, and the Honda doesn't disappoint. If buyers opt for the CVT transmission, the EPA rates most models at 30 mpg in the city, 40 mpg on the highway and 34 mpg combined, which is pretty good for a non-hybrid. 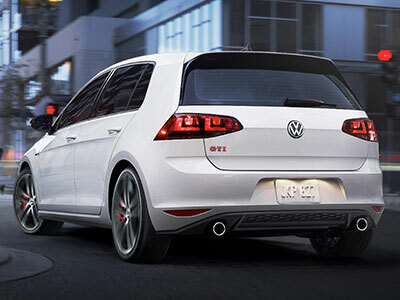 The Golf GTI is a more performance orientated model with a 2.0-liter turbo as opposed to the Civic's 1.5, so fuel economy does suffer as a result. Although plenty will consider it a price worth paying, the Volkswagen's 25 mpg in the city, 33 mpg on the highway and 28 mpg combined hands another win to the Honda. The Volkswagen GTI is a more performance focused model than the 2017 Honda Civic, but the Honda is generally the better vehicle overall. It also costs a whole lot less than the Volkswagen, so it's clearly our winner here.